Thiruvananthapuram, Feb 11 : Emirates Group, comprising Emirates airline and dnata, plans to hire over 11,000 new staff in the coming year across its business in line with its projected growth across six continents. This would increase its staff size by six percent by March 2016. 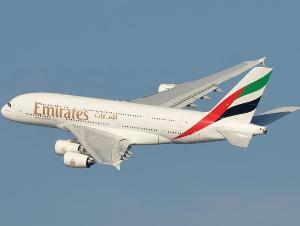 Approximately half of the new recruits will comprise Dubai-based cabin crew for Emirates airline. As the airline gears up to receive over 20 new aircraft this year, it is also actively recruiting talent in areas such as flight operations, engineering, airport services and corporate functions. Thiruvananthapuram, Aug 12 : Congress President Sonia Gandhi said here today that the number of incidents of communal violence across the country has steadily increased since the formation of the BJP Government at the Centre. Speaking at a Kerala Pradesh Congress Committee (KPCC) rally, Gandhi said that occurrence of communal violence has vastly increased since the new government came to power, something she claimed was of "great worry" to the Congress. Thiruvananthapuram, April 3 : State-owned Kerala Financial Corporation (KFC) registered a record growth in critical operational areas like sanction, disbursement and recovery for the 2013-14 financial year. The year-end figures show that KFC has sanctioned Rs. 989.48 crore as loans to MSME (micro-small-medium enterprises) sectors of the state with a growth of 49 percent over the previous fiscal. The loan disbursed stood at Rs. 754.73 crore during the fiscal ended 2013-14. The total recovery during the period stood at Rs. 568.61 crore. Thiruvananthapuram, March 29 : Defence Minister A. K. Antony Saturday contended that the electoral prospects for the Congress-led UPA have brightened and a third stint in power is a possibility for the combine. "Please don't write us off.... people's line of thought is there for us and there's every possibility for a third UPA government as the graph of the Congress now has risen. Thiruvananthapuram, March 19 : Congress leaders should answer why no complaint has been registered against union minister Shashi Tharoor in connection with his wife Sunanda Pushkar's mysterious death, CPI-M leader V. S. Achutanandan said Wednesday. "It's time that Defence Minister A. K. Antony and other senior leaders in the Congress break their silence on the mysterious death of Tharoor's wife," Achutanandan said in a written statement issued here. Thiruvananthapuram, March 8 : The Bharatiya Mahila Bank's Kerala branch would open here Monday, an official said Saturday. M. C. Maya, the banks' deputy general manager, said currently there are 12 such branches in the country and this would go up to 25 by the end of this fiscal on March 31. Each state will have branch. The women's bank is 100 percent owned by the central government with a capital of Rs. 1,000 crore. It has been formed for the economic empowerment of women. Thiruvananthapuram, Jan 23 : Kerala Tourism has been awarded by the United Nations for creating innovative initiatives for sustainable tourism. This is the first time such an award has been given for a tourism initiative in India. Kerala Tourism walked away with the top honours at the annual United Nations World Tourism Organisation (UNWTO) Awards for Excellence and Innovation in Tourism presented Jan 22 in Madrid, Spain's capital, where the UNWTO headquarters is located. This comes as the biggest international recognition Kerala Tourism has received to date. Thiruvananthapuram, Jan 14 : Rahul Gandhi behaved like a "joker" during his visit in the state Monday and such a person is being projected as the prime ministerial candidate by the Congress, a CPI-M leader said here Tuesday. Communist Party of India-Marxist state leader Pinarayi Vijayan said: "His candidature as the Congress's PM candidate is more or less finalised and yesterday (Monday) travelling on a police jeep on his state visit he behaved like a joker." Thiruvananthapuram, Dec 31 : Ramesh Chennithala, president of the Kerala unit of the Congress, will Wednesday be sworn into the cabinet of Chief Minister Oommen Chandy, party sources said Tuesday. The 57-year-old Chennithala, a three-time legislator and a four-time Lok Sabha member, will be administered the oath of office by Governor Nikhil Kumar. "I abide by the decision of the party high command. It was they who asked me to join the cabinet and I have decided to join," Chennithala told reporters at his home district of Alappuzha Tuesday. Thiruvananthapuram, Dec 19 : Hilton Worldwide Thursday announced the opening of its holiday garden inn brand in Kerala's capital city. "This is the third holiday garden inn brand in the country and with it, this becomes the 12th property of ours. In the coming months we are expanding our portfolio to Bangalore, Agra and Jaipur," said Guy Hutchinson, vice president operations, India, Hilton Worldwide here. The Rs. 85 crore, 134-room hotel will be located in the heart of the city and owned by the Muthoot Hotels and Infrastructure Ventures Private Limited and is classified in the mid-category business hotel. Thiruvananthapuram, Dec 12 : Scientists at HLL Life Care here are working on the next generation of male condoms -- a super-thin, ultra-sensitive contraceptive with a thickness of less than 0.04 mm, made by blending latex with graphene. The new condom has received accolades from far and wide, including from the Bill and Melinda Gates Foundation, the company said in a statement Thursday. "Our scientist Lakshminarayanan Regupathy and his team are already into the task. Our philosophy is to fuse innovation with social commitment," said HLL chairman and managing director M. Ayyappan. Thiruvananthapuram, Nov 5 : Larson and Tubro Mumbai has won the tender for constructing the runway at the proposed Kannur airport, a minister said Tuesday. Speaking to reporters here, state Minister for Excise K. Babu, who also looks into the aviation sector, said the work will start this month itself. "L&T was selected after their bid was the lowest at Rs. 694 crore among the four companies which came into the last round," Babu said. The airport is coming up in an area of around 2000 acres of land and is expected to cost Rs. 1700 crore. Thiruvananthapuram, Nov 4 : Malayalam actress Shweta Menon has withdrawn her molestation complaint against Congress MP Peethambara Kurup. The actress insists that she was not pressured by anyone to do so. "There is no pressure whatsoever behind this move. I have taken this decision after consultation with my guruji, my father and my husband. I am withdrawing all legal and other actions against him," Menon said. Thiruvananthapuram, Oct 8 : The National Bank of Abu Dhabi (NBAD), one of the largest banks in United Arab Emirates, has put in place an Indian IT solution that would enable real-time analysis and enrichment of revenue streams, its developer said Tuesday. The Xelerate suite of products deals with relationship-based pricing and enterprise billing solution. Thiruvananthapuram, Sep 7 : The tourism department in Kerala is expected to reap benefits on account of the fall in the value of the rupee, State Tourism Minister A. P. Anilkumar told reporters here Saturday. "In the previous calendar year Kerala tourist arrivals saw a seven percent growth and a record 18 million people visited the state," he said. "With the weakening of rupee and a fresh tourism season on the anvil, it's quite certain that those in the tourism business here will benefit," Anilkumar said. Thiruvananthapuram, Aug 30 : Nearly a quarter of young rural men in Kerala's Thiruvanathapuram district are prone to the habit of smoking, says a study. While 21.1 percent of young men (15-24 years) are prone to the smoking habit, 22.2 percent of men between the ages of 55 and 64 gravitated towards smokeless tobacco products, shows the study conducted in rural areas of Thiruvananthapuram district. Thiruvananthapuram, Aug 27 : Congress president Sonia Gandhi will inaugurate the Rajiv Gandhi Institute of Development Studies here on Sep 7, state Congress chief Ramesh Chennithala said Tuesday. "The state of art research centre would be housed in a 40,000 sq ft building which will have a library and a convention centre. We are also seeking the help of the Indian Council for Social Science Research," Chennithala told reporters here. The institute, located on the city outskirts, has G. Mohan Gopal as its chairman. Thiruvananthapuram, Aug 8 : Middle East-based Keralaite businessman Ravi Pillai said here Thursday that tourism is the only viable business opportunity in Kerala and sought the private sector's entry into the titanium industry. "In Kerala the cost of land and salaries is very high besides there are political issues also. Today tourism is the only viable business proposition in Kerala. Another one is the titanium industry, but that is not allowed in the private sector and it should be opened up," Pillai told reporters here. Thiruvananthapuram, June 11 : An IT firm here have developed a software that provides instant information about students to parents via SMS and e-mail. IT firm ThoughtRipples has developed the software called Gurusparsh, which will be used by 200 schools in Kerala. ThoughtRipples' CEO Deepak Cherry George said Gurusparsh enables teachers and school authorities to send information about students' absence, class notifications and marks via SMS and e-mail to parents or guardians on their mobile phones.